Today, some healthcare organizations are using security operations centers (SOCs) for advanced threat detection and response capabilities. But, others find it challenging to build a world-class SOC due the high cost and cybersecurity skills shortage. 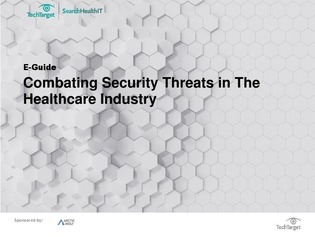 To prevent sophisticated cybercriminals from stealing sensitive patient health information, all healthcare organizations must have a security strategy in place. Download this guide to how your organization can meet compliance obligations while maintaining an optimal security strategy that detects and responds to advanced threats with an SOC-as-a-service.